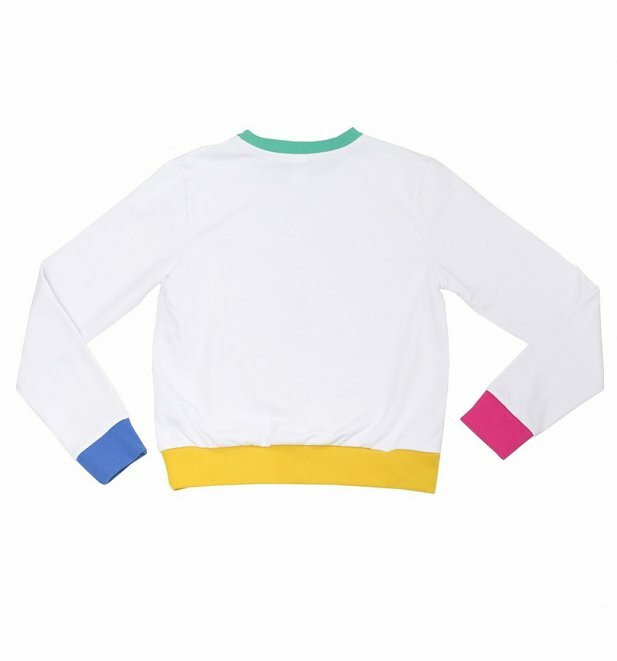 Could this sweater feel any more old-school?! 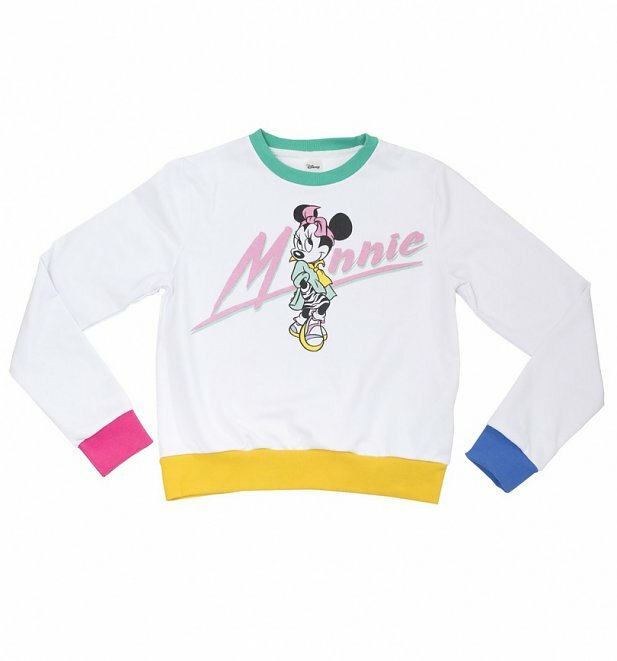 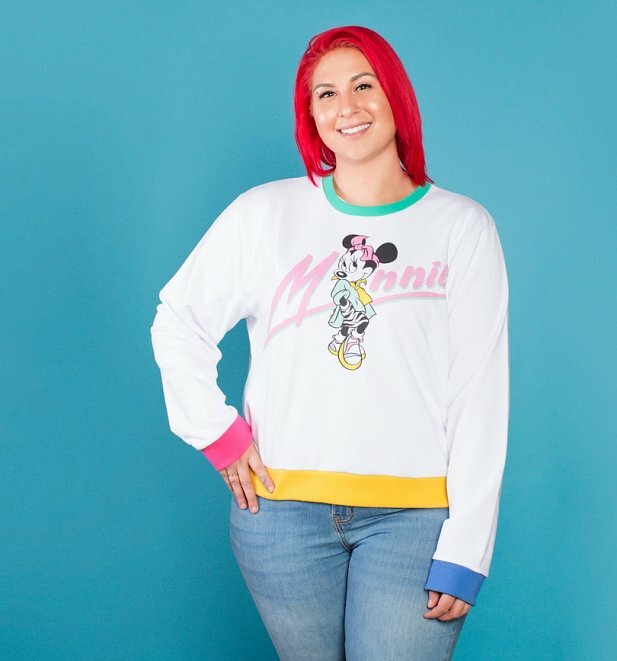 From the contrast colour-blocked sleeves to the cropped fit to Minnie's oh-so-90s neon outfit, this lightweight jumper is a true blast from the past. 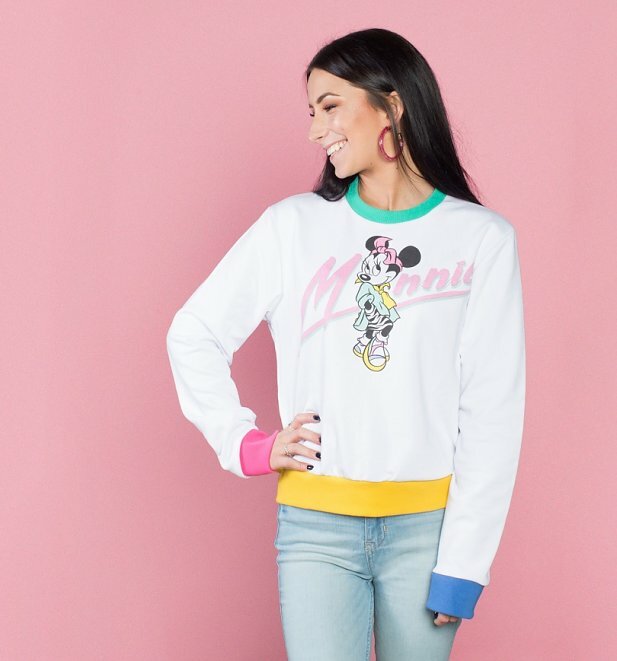 Style with your fave mom jeans and All Stars or Keds for a super-fresh, retro inspired look celebrating the chicest mouse lady. 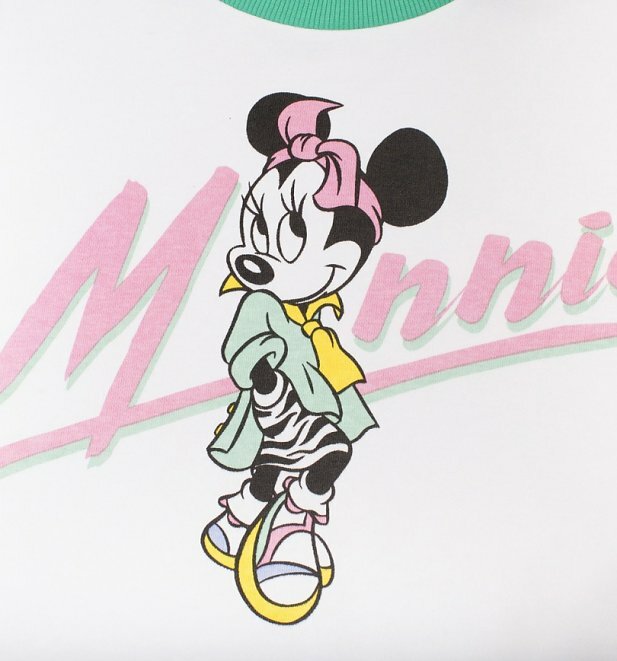 By Cakeworthy, experts in creating colourful, magical Disney designs that feel like true vintage finds.